The Fab Four: Witches Galore! I probably would've taken more pics at Gardener village but then my camera died!! Super cute witches were all over the place. These were some of the cute pics we took while we hung out there a couple weeks ago! Hunter reaching for grandpa to get him off that Bail of Hay!! 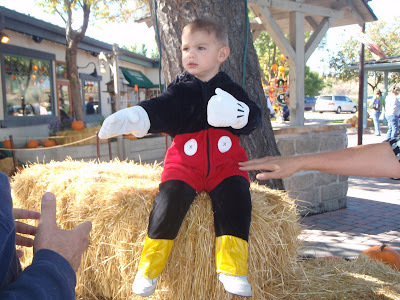 yeah so much for keeping the mickey mouse costume. He is getting way too big for it now!! It's my favorite costume I have ever bought!! 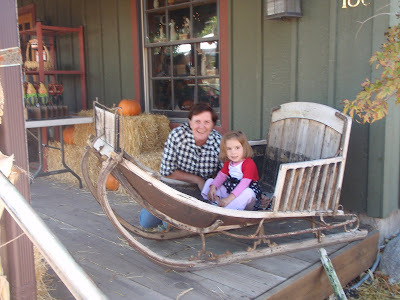 Grandma lynda and Mayley hanging out by a really cool antique Sleigh. I couldn't resist! 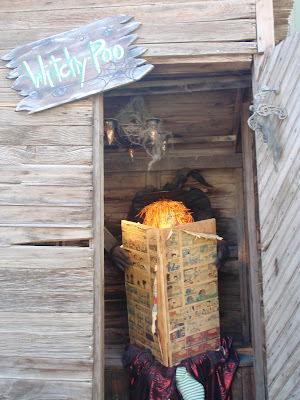 I thought this was the funniest witch display out of all of them!! Bryan thought this picture is hurting their bums!! So cute!! It was a fun time enjoying the day with Bryan's Parents. They are Wonderful Grandparents!! A special thanks to Grandpa Call for coming with us! We were glad you came to be with us this day! I love the witches at gardner villiage. That is so fun. I am glad you posted some pictures so I could see them this year. 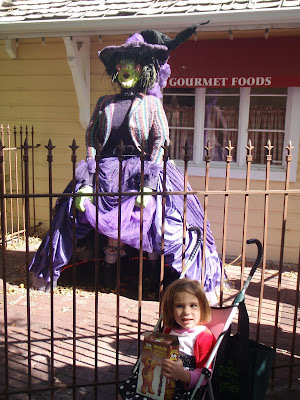 I largely debated coming to visit in October instead of November just so I could enjoy halloween at gardner villiage. those pictures are fun, what a cool place to visit! way to go doing crafts with your kids. i keep thinking i should do one with kaci, but i think she'd think it was boring with just me. having two kids looks like so much more fun! I LOVE gardner village this time of year. I am so excited for all the holiday festivities! Fun crafts you are doing too!!!! FUN! i've been wanting to go see the witches so you just made me excited! i'm here in slc-- why the heck have we not gotten together yet?!?! let's do it sis! 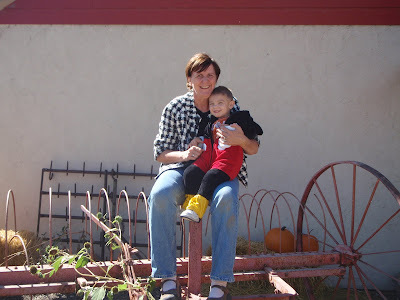 i would love to see you and meet your cute kids! Messes a WHOLE lot of 'em!